Data loss is annoying, total disk failure is a disaster. Ashampoo HDD Control 2017 includes an early warning system against imminent disk failure and gives you the time you need to back up your files before disaster strikes. Keep an eye on the health states and performance of your drives. S.M.A.R.T. (Self-Monitoring, Analysis and Reporting Technology) not only covers the temperatures of your disks but also provides details on run time, potential errors, performance and more. Ashampoo HDD 2017 analyzes this data to provide you with detailed feedback on the health of your drives. 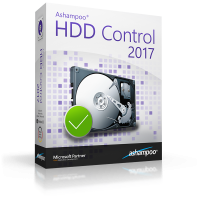 Ashampoo HDD Control 2017 can boost the performance of your hard disks. Shorten access times, prevent data loss and spot imminent disk failure before it happens. Ashampoo HDD Control 2017 allows you to graphically visualize the memory consumption of your files to find and delete large or duplicate files. It’s the quickest way to reclaim valuable disk space. Ashampoo HDD Control 2017 enables you to delete sensitive data permanently in compliance with military security standards to guard your privacy. You can recover accidentally deleted files (without File Wiper) using Undeleter, the last chance in the event of accidental file deletion! Hard disk failure can cost you many things. Not only does it expose you to data loss, but also money and time you would probably spend recovering the data. Thankfully, you can get hold of applications like Ashampoo HDD Control 2017 to have things under control literally. As an application that promises to accomplish various hard disk related tasks, I had to try it out. Here is my take. At no point will you face any challenge when downloading or installing this giveaway application. After running the application, you will land on interface under System. This interface contains some quick but informative details about your drive like size, temperature, health status, and recommendations. In my case, my hard drive required better cooling. 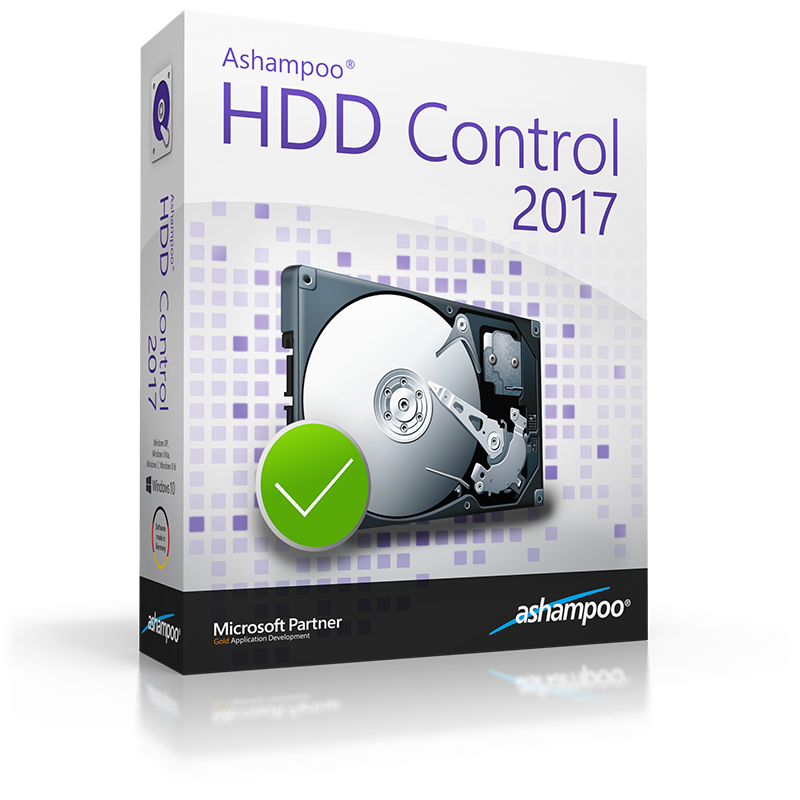 Ashampoo HDD Control 2017 gives you various way of optimizing the performance of your drive as well as note problems early enough. In the process of doing so, it also presents many sub-options for you to choose and control how you want to execute a specific process. For instance, you can determine how the Duplicate Finder option works. Just head to Options then choose the drives on which you want to run the search, the file types, and comparison approach. Under the option Search for, you can add other file types that are not listed. In the process of using the features that Ashampoo HDD Control 2017 offers, I noted that it was pretty smooth. As such, it was effective in executing most of the processes apart from the following cons. It was clear right away when I started using Ashampoo HDD Control 2017 that it was unstable. Whether was it when launching the application or during exploring its other features, it was not a guarantee that it would list my hard drives if I clicked on System option at the top left side of the interface. The program’s reason for showing my drives was that they were connected to a special controller, which was not the case. However, if you relaunch the application, it may redisplay the drives. Alternatively, clicking on another option then going back to System could display your drives. The latter option worked for me. Apart from being behind a plethora of application, Ashampoo is known for developing intuitive UIs. In this case, it came short in incorporating a much-needed progress bar when you execute the Duplicate Finder process. As a result, you would have to wait for the process to complete without knowing the remaining time. Ashampoo HDD Control 2017 is notably unstable through its unreliability when it comes to displaying disks. It further scores below average when executing certain processes like duplicate finding. Not only will you miss a progress bar, but also an effective way of selecting and deleting duplicate files. Apart from that, the program works well. As much as I would like this program to work (since its from a very reputable author) it has failed on every attempt. Others in the support forum have noted the same – program says “No hard disks found” and suggests they’re connected to a special controller – which they are not, they’re common Hitachi and Seagate SATA drives on an AMD SATA controller in an ordinary HP Pavilion PC. I had hoped it would work, as I reported this problem 3 months ago, but still nothing…. thus the 1-star rating as non-functional. Best wishes to the author for a resolution. Quite simply, it does NOT work. It will not see any of my three hard drives which are connected via traditional SATA ports. They are standard spinning hard drives, NOT SSDs. I really regret having uninstall Hard Drive Sentinel, which, although I didn’t like the interface, did, in fact work. Please note, this is after multiple restarts of both the application AND the PC. Let me state, it does not, at any time, have issues with showing me advertisements, however. I would best counsel skipping the experience overall. Is the service running? Both the HDD Main.exe and Service.exe need to be running. Since this is the rebranded HDD2 I would guess that the service is “Ashampoo HDD Control 2 Service” or “AHDDC2_Service.exe” but the name might have changed. Check your services (run: services.msc) after you launch the program to see if it is “running”. Sometimes it is necessary to undergo some experiences to avoid them. I once lost important data because of hard disk failure and i now take every precautionary measures to avoid the same. During my search for a reliable software that can help me monitor the state of my hard disk whenever I wanted, I discovered Ashampoo HDD Control 2017. Having used the software for some time now, here is my take. Ashampoo HDD Control 2017 is a great package of most of the tools you will need in checking the health of your hard disk. Its tools are under three main categories, which are Maintenance, Review and Security. The tools include disk defragmenter, drive cleaner, space explorer, duplicate finder, and undeleter. A summary of your hard disk’s health, performance and state are on the software’s main window. Since my hard disk adheres to the S.M.A.R.T standard, the software has a “S.M.A.R.T Data” option that gave me a pretty detailed report of the state of my disk. This option outlines basic details like Read Error Rate, Spin-Up Time, and temperature to advanced details like data UltraDMA CRC Error Rate and Free Fall Protection. The application has a couple of options with the export option. After displaying the status of my disks, I could export the report to text file. The other tool with the create report option is the Drive Cleaner. After the list of problems has been displayed, you can generate a report of the same and save it for later references. This feature is particular useful to troubleshooting experts. With the disk space explorer, I was able to choose a specific drive for analysis. The generated report is detailed in a descending order based on size to know which folders or files use the most space. A summary of the same is shown in pie and bar charts for quick overviews. You can also choose to list files according to their types. When scanning for hard disks, Ashampoo HDD Control 2017 did not list those the non-raid controllers. On first launch, Ashampoo HDD Control 2017 could not list my internal hard disk and attached ones. I had to relaunch the application for the disks to be displayed. When reviewing my disks using the Disk Space Explorer, I noted that the software does not list attached USB sticks. When refreshing the list of hard disks using the system option, the program freezed up a couple of times. Ashampoo HDD Control 2017 is a decent application for monitoring the state and performance of your hard disk. The other reason for recommending it is its low computer resource usage. It can run in the background as your perform other tasks.